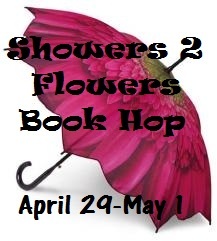 Sign Ups are still open for the Showers 2 Flowers Book Hop. The hop will start on April 29 at 12:01am (central time) and will end on May 1 at 11:59pm (central time). The hop is being hosted by Diva's Bookcase and Notorious Spinks. Submission to the link will close on Saturday April 30. I had a problem with the previous linky, so the new linky list and code is below. The old linky will expire on tomorrow (4/28). This new linky will need to appear on your hop post so that readers can access the other participatings blogs. As always if you have any questions, please email me at thedivasbookcase@gmail.com. Here is a sneak peak of what I will be giving away here on Diva's Bookcase. I forgot to state that my giveaway will be open to US and Canada for Library of Clean Reads. Can you please edit the Linky entry? Thanks!